We’d love your help. 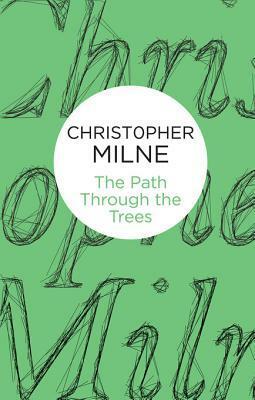 Let us know what’s wrong with this preview of The Path Through the Trees by Christopher Milne. 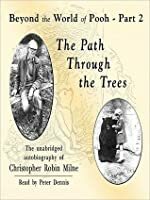 To ask other readers questions about The Path Through the Trees, please sign up. Having first listened to the enchanted places I had high hopes for the path through the trees. And I'm saddened to say I was pretty disappointed. Though still written well, descriptive, and with a little of the a a Milne feel to it I just couldn't get into this one. I found myself looking forward to the end so I could move on to something else. 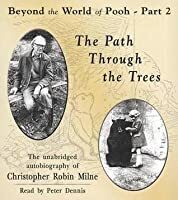 I found it fascinating to learn about the life Christopher Milne made for himself as a bookstore owner in Dartmouth after achieving unexpected fame as "Christopher Robin" in the Winnie-the-Pooh books. I found this interesting, but, a little slow moving and redundancy at times. Priceless, and together with The Enchanted Places, unique and will (obviously) stay unique for all time. This gentle, unassuming author is living evidence of the formative power of Pooh...and no perplex here, either. I couldn't finish this one. I'm sad to say that I thought it was boring. I enjoyed it. I liked his analogies--how life is like a walk through the trees, coming on vistas and unexpected places, either delightful or hard. fought the 2nd world war as he fought to escape his childhood namesake. his devotion to his daughter is only briefly mentioned when in reality Milne was completely decrees to her. loved reading about the Harbour Book shop which is now called Dartmouth Community Bookshop.